We all know luxury homes tend to be large, glamorous, and fun, but can a home be both luxurious and eco-friendly? The answer is – yes. There are so many trends both builders and designers use to make luxurious homes good for the environment as well. And if you’re looking to do the same, there are quite a few tips you might find helpful. We came up with a list of five that might be exactly what your home needs. Make sure you check them all out. One of the best ways to make sure your luxury home is eco-friendly is to use locally sourced materials. Depending on where you live, there are different locally sourced materials that can be used for either constructing your home or renovating it. For example, some regions are abundant in stone and clay, while others are rich in thatch, and all of these resources can be used for building a luxurious home. Also, local architects and contractors you’ll turn to have probably used locally sourced materials before and they’ll be able to put them to good use when constructing your home. It’s no secret that we live in the age of smart devices. From smart thermostats to smart refrigerators that can order food for you, there are plenty of these devices you can get for your home. And the best thing about these is that they’ll make your home more luxurious while helping you save energy. For example, you can connect your thermostat to your smartphone and turn on the heating once you start heading home, instead of keeping it on throughout the entire day. Also, there are smart sprinkler controllers that can help you save gallons of water every single year. Most of the luxury homes have large gardens with plenty of trees. And if there’s enough space in your backyard, planting more trees is always a good idea. First of all, trees improve air quality by producing oxygen and storing carbon, a harmful byproduct of burning fossil fuels. Moreover, they tend to trap dust, pollen and many other pollutants. Not to mention that every tree out there is a potential home for birds, squirrels and bugs. And there are plenty of trees that can make your home more luxurious such as saucer magnolia, weeping cherry, and crabapple. 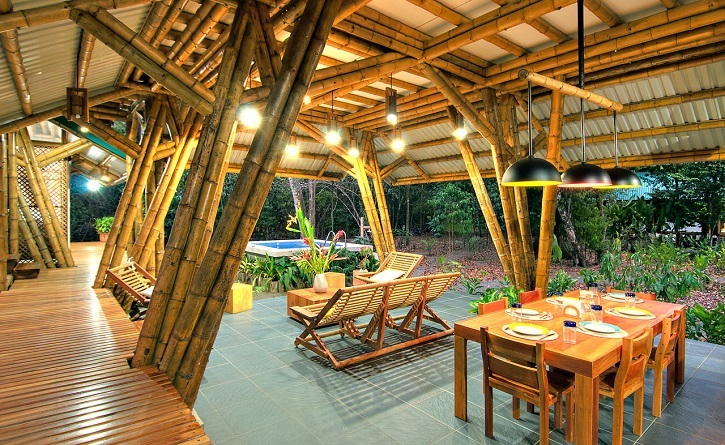 The way you light your home can have a great effect on both how luxurious your home is and how green it is. That’s why you have to put a lot of thinking into which lighting options you’re going to choose for your home. When going luxurious and green, skylights are something you simply can’t go wrong with. These look absolutely amazing, and they’ll reduce your need for artificial light. And unless you’re really into DIY, make sure you have experts in skylight installation set these up for you. 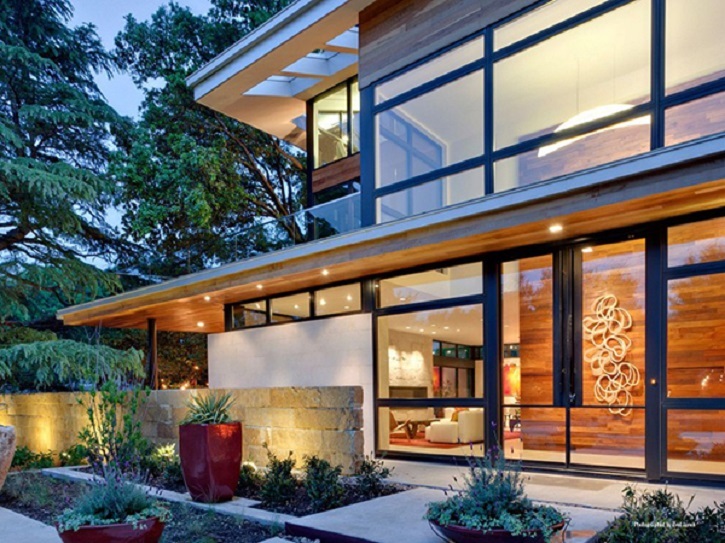 The type of doors you have is another big contributor to how luxurious and green your home is. Not only that cheap doors don’t look lavish, but they also let warm air escape which makes you spend more energy keeping your home nice and cozy. On the other hand, there are doors that can add luxury to every home out there. This is the case with both internal and front doors. Therefore, make sure you’re never afraid to pay top dollar for quality and luxurious doors for your home. Follow all of these tips and you’ll make your home luxurious while saving the environment. And since every contribution counts, you should always keep an eye out for new ways you can make your home more eco-friendly.